Please save the date for this year's program, taking place from Sunday, November 3 until Sunday, November 10. Holocaust Education Week is at a crossroads. Faced with the passing of living memory, ongoing local demographic shifts and international surges in antisemitism and intolerance, we must pose a difficult question: 75 years later, why should Canadians learn about the Holocaust? In 2019, HEW expands its focus to examine the Holocaust from a universal and intersectional perspective, illuminating the relevance of Holocaust education to all Canadians and their concerns for the 21st century. Despite some troubling results from a recent study commissioned by the Azrieli Foundation in partnership with the Claims Conference, 85% of Canadians agree on Holocaust education’s importance. The challenge that lies before us is to maintain its relevance before it fades from memory. Join us this year as we explore why the Holocaust matters NOW. Together, we can continue to build a brighter tomorrow for all. Holocaust Education Week is the Neuberger's annual signature program. Cited by scholars as one of the most comprehensive vehicles for Holocaust education and remembrance in the world, it has been recognized as a “Best Practice” in the field by the International Holocaust Remembrance Alliance(IHRA). UJA Federation of Greater Toronto is the Neuberger's sustaining supporter. 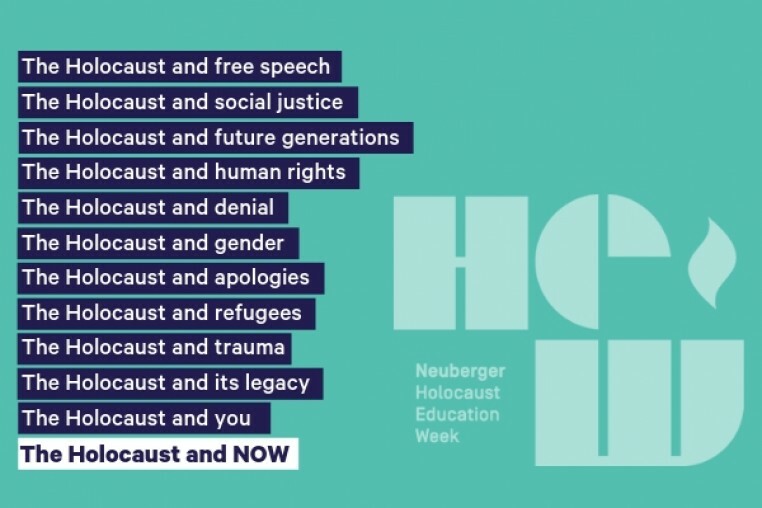 UJA is proud to support the Neuberger's world-class programming during Holocaust Education Week and its year-round educational and remembrance programs.